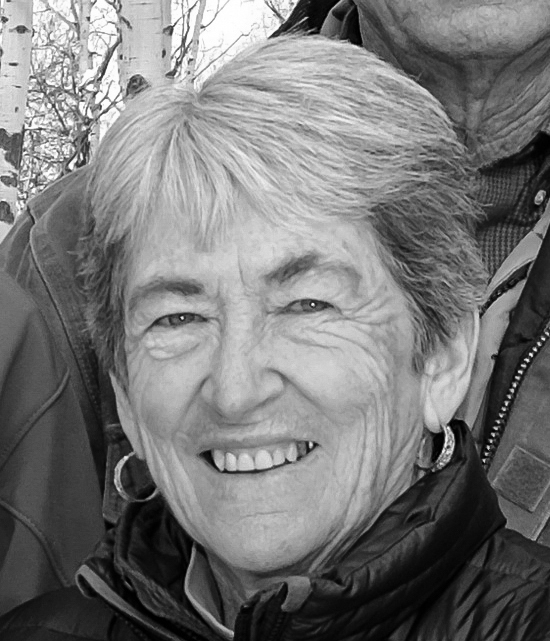 Judy Morris, Greybull, Wyo., died March 21, 2019 in Powell, Wyo. She was born May 20, 1946 to Clarence and Betsy (Longhurst) Bruce in Coalville, Utah. Judy married Homer David Morris on Dec. 21, 1968 in Evanston, Wyo. Judy received her Bachelor of Science and Master of Science in Home Economics from the University of Wyoming, and Master of Library and Information Sciences from BYU. She was inducted into the Wyoming Association for Career and Technical Education Hall of Fame in 2007. She served on the Children’s Resource Center Board of Directors for 14 years and was a teacher for 30 years. Judy was a member of LDS Church, PEO, FHA and Friends of the Library. She enjoyed quilting, gardening, walking, her grandkids, cooking, reading, and was the best Mom ever. She was loved dearly by her family and will be missed like crazy. She is survived by her husband Homer, sons Kane (Tracy) Morris and Bart (Wendy) Morris; Grandchildren Sierra and Garrett Morris; brother Bob Bruce; sister Betty (Scott) Cornia; sister June Morris. She was preceded in death by her parents. A Celebration of Life will be held March 30, 2019 at 2:00 p.m. at Elk’s Lodge, 622 Greybull Avenue, Greybull, Wyo. In lieu of flowers please donate in her name to Big Horn Basin Cancer Center, The Educational Projects of PEO, Greybull Library, American Cancer Society, or Parkinson Foundation.